One of the world’s most widely followed music bands has finalised a partnership in a Malta-based company as it prepares to launch a revolutionary new gaming platform. 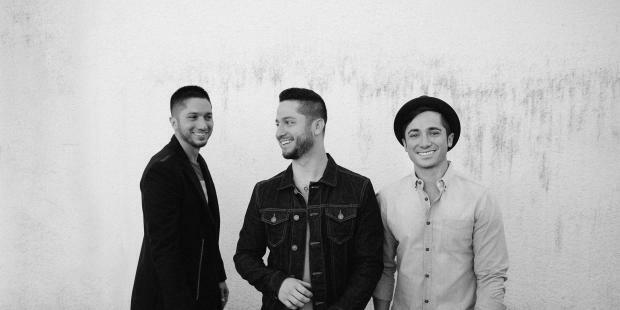 Boyce Avenue – the American pop and rock band formed in Sarasota, Florida, by brothers Alejandro, Daniel and Fabian Manzano – have taken an equity stake and endorsement deal with Quizando, the Malta-based quiz game portal that is currently undergoing major global development. The American band has a whopping 11.5 million subscribers on its YouTube channel. Their music videos have been viewed a staggering four billion times, making them the most viewed independent band on the planet. The Boyce Avenue YouTube channel alone is among the top 200 most followed channels worldwide across all topics while they are in the top 100 streamed artists on Spotify. “We believed in the concept of Quizando since we were first introduced to it a few months ago,” Daniel Manzano explained. As part of its redevelopment, Quizando will be introducing a new version of the game specifically aimed at solving a number of challenges faced by the online influencer community, namely the lack of monetisation opportunities. “We found this element of the new Quizando to be extremely exciting. We don’t want to give too much away at this point, but it will actually revolutionise the way the world’s online influencers monetise their followings,” Manzano added. Wesley Ellul, one of Quizando’s founders, said the deal making Boyce Avenue part of the ownership team was a natural partnership. “From the moment we started talking to Daniel and his brothers we could see how excited they were by our project and how much belief they have in what we are creating,” he said. The beta version of Quizando has been live for more than a year during which time a variety of game types and quiz styles have been tested, ensuring the new platform will be ready to deal with the mass market. Despite virtually no marketing of the site, thousands of players have already signed up. “We wanted to make sure that a market for this type of quiz game existed and test just how extensive it is before moving on to phase two. But even we were overwhelmed by the response,” Mr Ellul said. Quizando is owned and operated by Web Matters Ltd who are currently running an Initial Coin Offering (ICO) for the platform. More information on www.quizando.io.